← Is homework good or bad? I was listening to the radio today and they were interviewing Andy Grammer. The DJ asked what advice he’d’ have for musicians that haven’t “made it” yet. He said, “Fail spectacularly.” He went on to say that you can be an enormous success, or you can be an enormous failure, but if you are just riding the middle ground, then you are going nowhere. That middle ground is also known as the comfort zone. 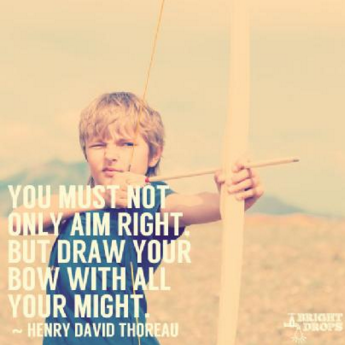 Do we encourage students to not only aim, but draw the bow with all their might? Do we expect them to fail spectacularly? Or do we reinforce the comfort of the middle ground? If students never take a risk, they might not ever truly learn. This entry was posted in Education, Student Engagement Series. Bookmark the permalink.